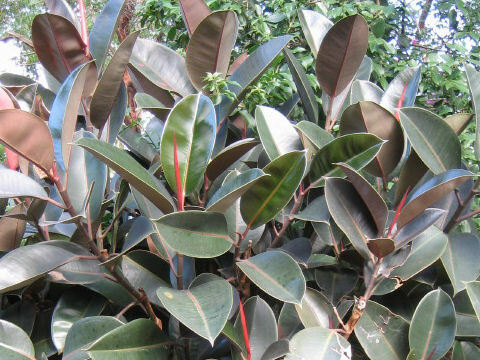 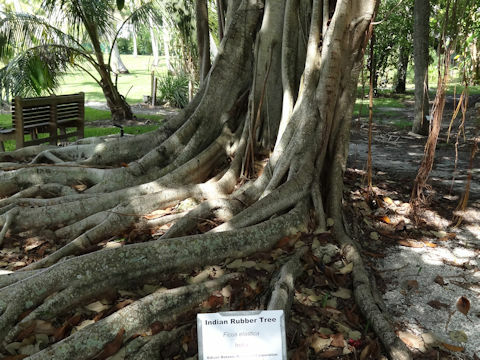 Rubber tree (Ficus elastica) belongs to the Moraceae (the Mulberry family). 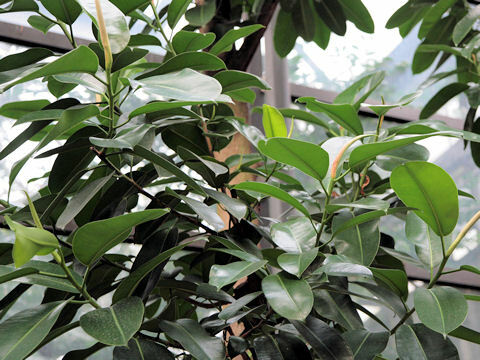 It is a tall evergreen tree that is native to India, Burma and the Malay Peninsula. 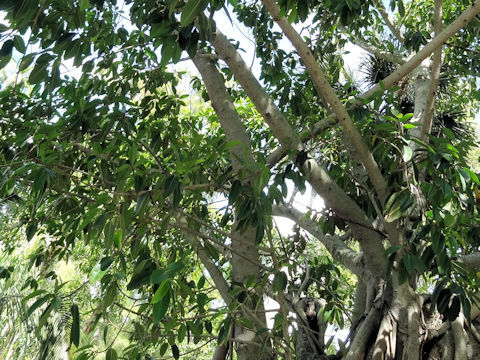 This tree likes high temperature and humidity, can reach 20-25 m in height. 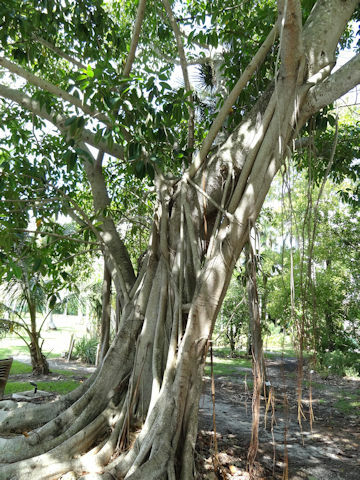 Mature trees form buttress roots which are swollen looking like paravents. 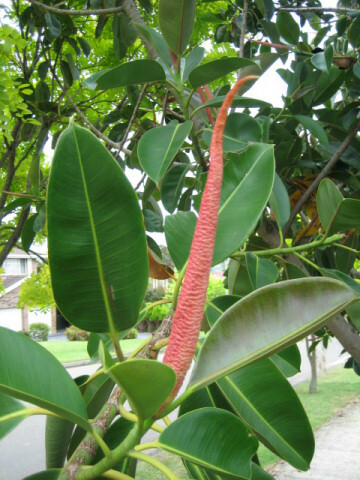 Leaves are thick and leathery, elliptic or oblong, alternate, and glossy surface. 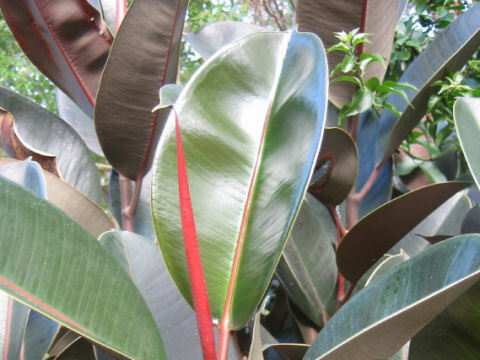 New leaves are covered with reddish stipules. 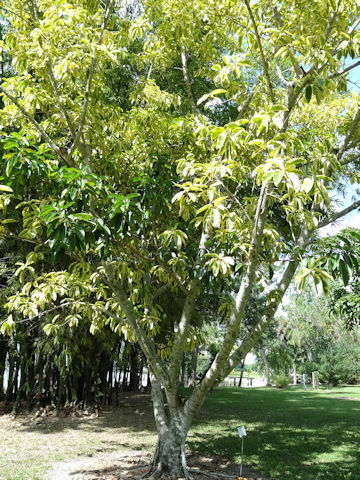 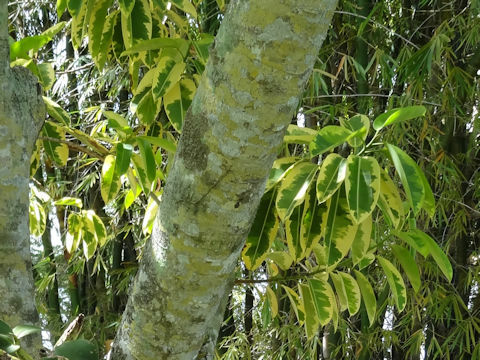 Natural rubber had been made from this tree until the 18th century, though change to the Para rubber tree (Hevea brasiliensis) nowadays.